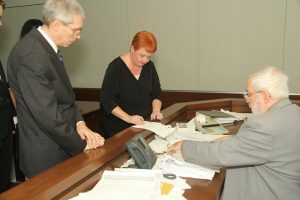 We meet with our clients one-on-one to explain the various legal techniques and methods available to develop their own specific estate plan and the nuances particular to each. 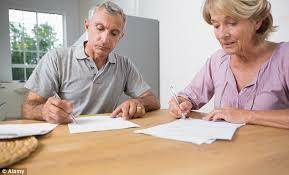 We will address simple wills, and testamentary and revocable living trusts. Our goal is to insure your assets are protected and conveyed at the time and in the manner you desire and we can prepare the instruments necessary to accomplish this in an accurate and competent manner. 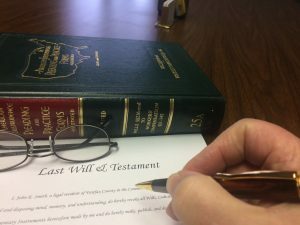 We prepare a wide variety of legal instruments, including but not limited to general durable financial powers of attorney, advance medical directives, end-of-life instructions, organ donation and biological gifts, burial directives, last wills & testaments, testamentary trusts, revocable living trusts and pour over wills. While we prefer you to choose family members to act as your executor or trustee, we realize that sometimes no one is available to perform these duties. In such a case, we are able to perform these services for you at our regular billable rates. We will explain what Probate is, and what it is not. We will also deliver a comprehensive evaluation of the pros and cons of different types of asset dispositions, and respond to your questions involving your specific assets so we can design your personal estate plan and insure your final wishes are fulfilled. Call our office to set up an appointment today. We also provide legal representation of personal representatives, trustees, and other fiduciaries and assist them in fulfilling their obligations and duties. We provide legal advice and services, including resident agent services (for out of state fiduciaries), assistance in the preparation of notices of administration, affidavits of notice, inventories, accounts, and other necessary act. We also consult with fiduciaries and review documents they have prepared to insure they are accurate and complete prior to their submission to the court or commissioner of accounts. We advise agents and attorneys-in-fact of duties, record keeping responsibilities, and information that must be provided to principals and heirs as a result of their appointments under powers of attorney, guardianship, or as conservators. We also represent fiduciaries, creditors, or beneficiaries in litigation, to include debts and demands hearings, claims invalidated by statute, and other litigation. We defend claims by beneficiaries and creditors against the personal representative and prosecute claims against a fiduciary or estate, including demands for dower, curtesy, or rights to an elective share, assist in the evaluation and calculation of augmented estates, rights in a family residence, homestead allowances, exempt property allowances, spousal allowances, and rights barred because of divorce, abandonment, or desertion. Whatever your needs in the area of Wills, Estates, and Trusts may be, we can offer competent legal assistance.